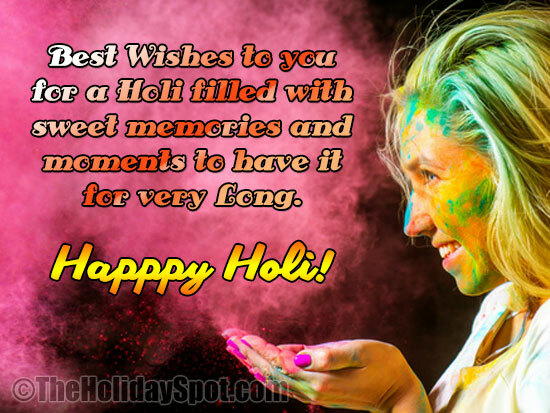 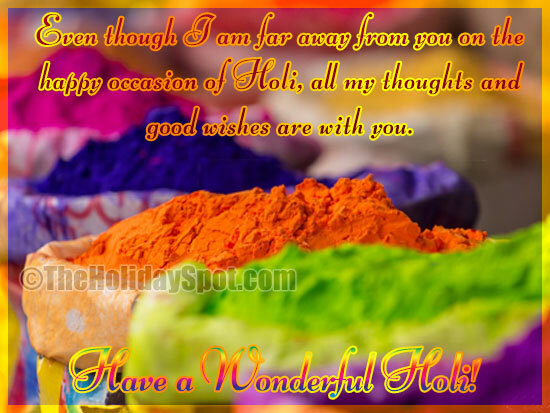 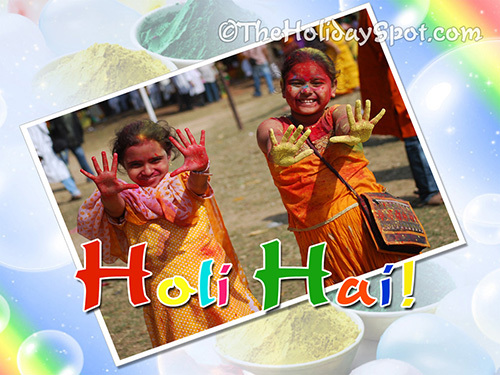 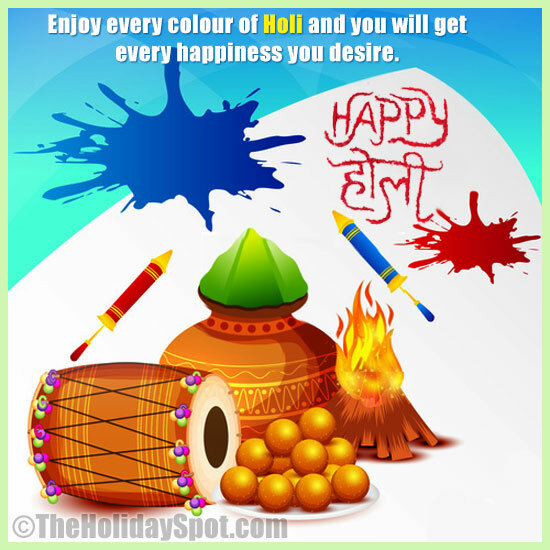 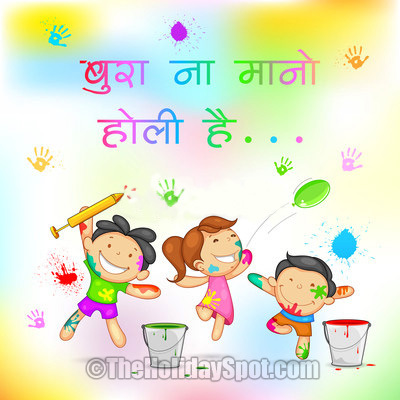 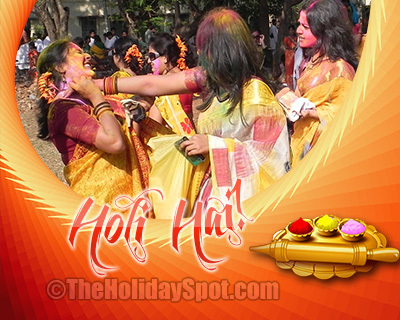 The famous festival Holi is celebrated with happiness and zeal by all over the world. 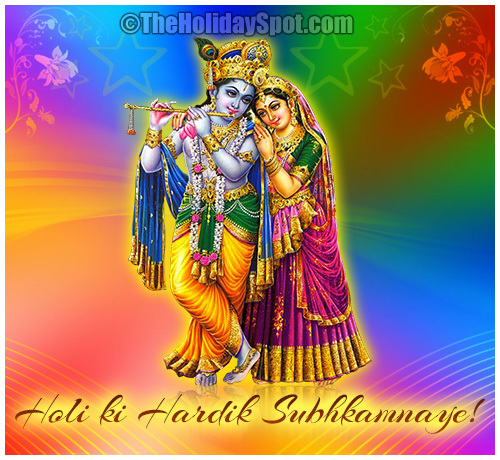 The Hindu festival Holi is known as the festival of colours. 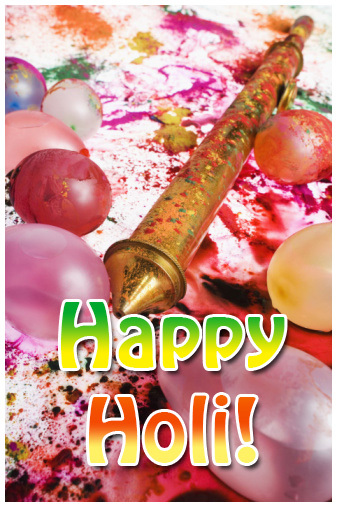 This is a spring festival lasting for two days. 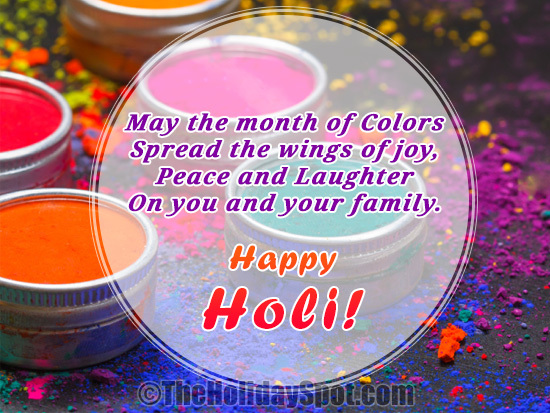 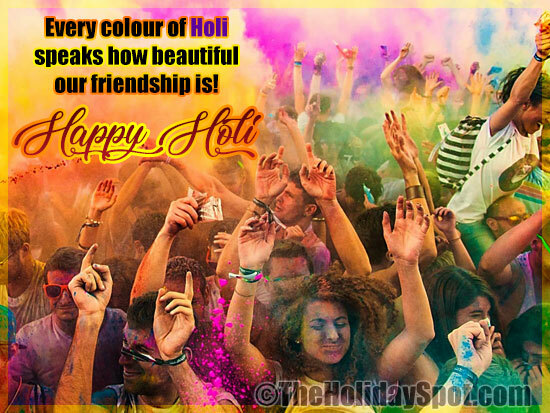 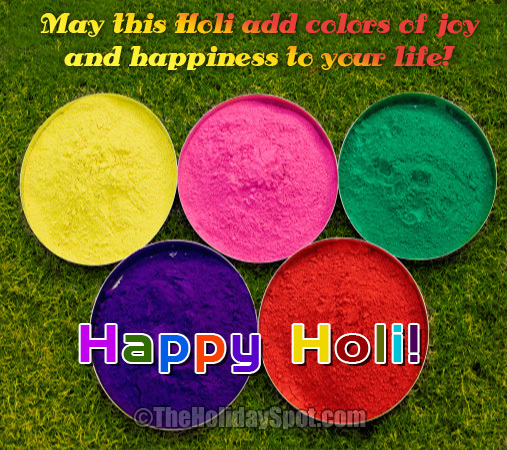 It spread the colours of joy, colours of happiness, colours of friendship and colours of love. 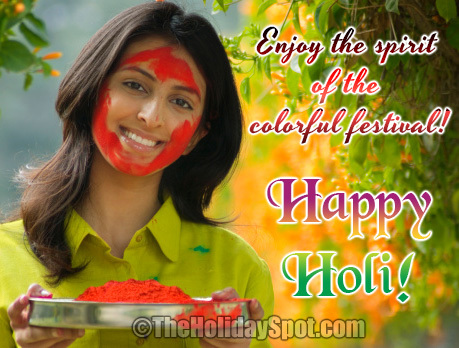 The main intention of the festival to bring people together and spread joy all around. 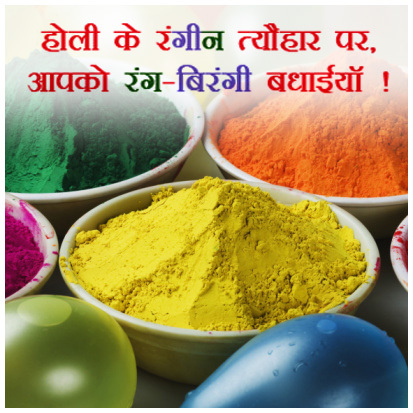 Let's celebrate all the colours of the world this Holi through sending some greeting cards and pictures to friends, family members and others. 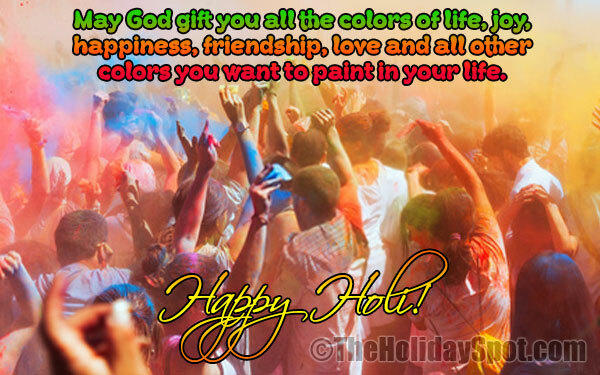 Share these Holi images at WhatsApp, Facebook, Twitter, Instagram and wish them all a Happy Holi .